Genetic Algorithms designed to simulate processes in natural systems.Over consecutive generation GA simulate the survival of the fittest among individuals.GA is a part of evolutionary computing. Solves problems with multiple solutions. Its execution technique not dependent on the error surface. 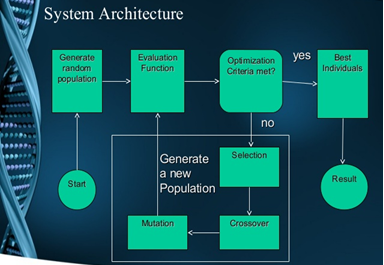 Structural genetic algorithm gives the possibility to solve the solution structure. GA method is very easy to understand. Easily transferred to existing simulations and models.